hot chocolate in a canister is hard to find in tennessee. you can buy packets of it, but it’s never enough to make to make a normal serving size. i had to take matters into my own hands. this is hot chocolate, shoebox style. no wintry day is complete without it. we prefer our hot chocolate to be a bit darker than the usual milk chocolate variety, so the recipe calls for more cocoa and less sugar. adjust as you wish. i also threw in a recipe for homemade whipped cream. stay tuned for a homemade marshmallow recipe! pour 8 oz. 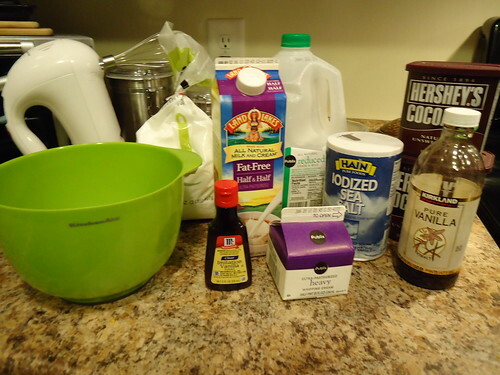 heavy cream into a small mixing bowl. 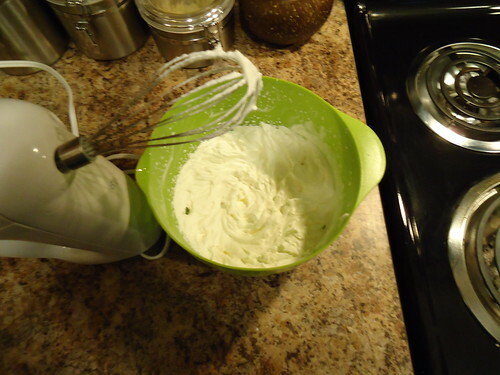 using a whisk attachment, start mixing on a low speed. place in fridge until hot chocolate is ready. combine cocoa, sugar and pinch of salt in a saucepan. blend in the boiling water. bring this mixture to an easy boil over medium heat while you stir. 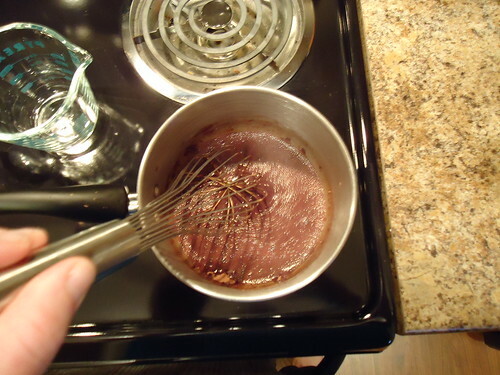 (stirring is important, this scorches very easily!) turn the heat down and simmer and stir for about 2 minutes. stir in milk and heat until very hot, but do not boil! remove from heat and add vanilla. divide between mugs. 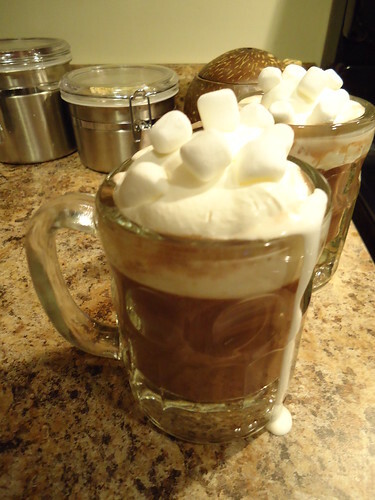 add a half and half to the mugs and top with whipped cream and marshmallows. if there is any leftover, refrigerate and serve over ice with a strong cup of coffee. it makes a great mocha!